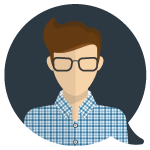 Learn more about strategic forecasting models in operations management. 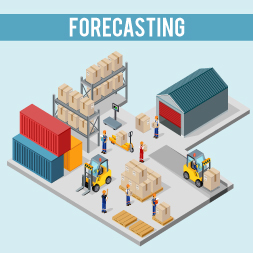 The course Applied Operations Management - Introduction to Forecasting shows learners why virtually all operations management decisions are based on a forecast of the future. Forecasts drive strategic operations decisions, such as choice of competitive priorities, changes in processes, and large technology purchases. Forecast decisions also serve as the basis for tactical planning and developing worker schedules. The course begins by introducing forecasting and describes why it is critical to the management of all functional areas within an organization. For example, marketing relies on forecasting to predict demand and future sales, and human resources forecasts future hiring requirements. You will then learn about forecasting methods such as time series forecasting. Time series models assume that information needed to generate a forecast is contained in a time series of data and that the future will follow the same patterns as the past. You will learn about simple mean, moving average, weighted moving average, and exponential smoothing methods. These forecasting methods are explained in detail with worked examples throughout. This course will be of great interest to all learners who have certified in Alison's Diploma in Operations Management as it introduces practical applications of operations management in the area of forecasting. It will also be of great interest to all professionals working in the areas operations management or general management who would like to learn more about forecasting and the methods used to make predictive forecasts. The course will also be of interest to all learners who are interested in operations management as a future career. Having completed this course learners will be able to: - Define forecasting as related to operations management and give examples; - Describe the time series forecasting; - Explain simple forecasting models for time series data; - Describe what a causal model is and write equations for the causal model.